This folded note is reversible! 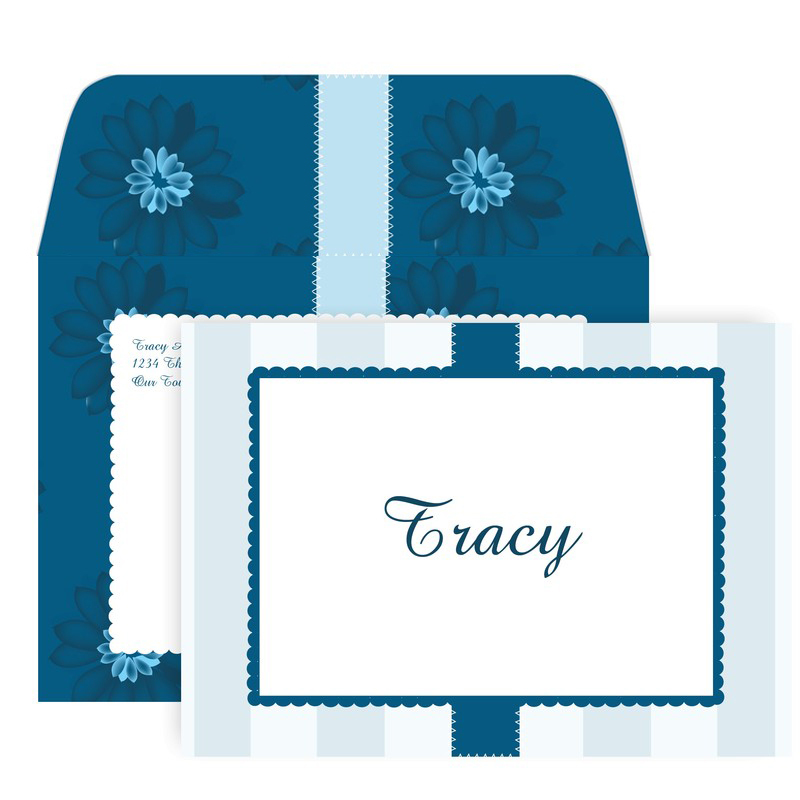 With a blue flower pattern on one side and a blue stripe pattern on the other. 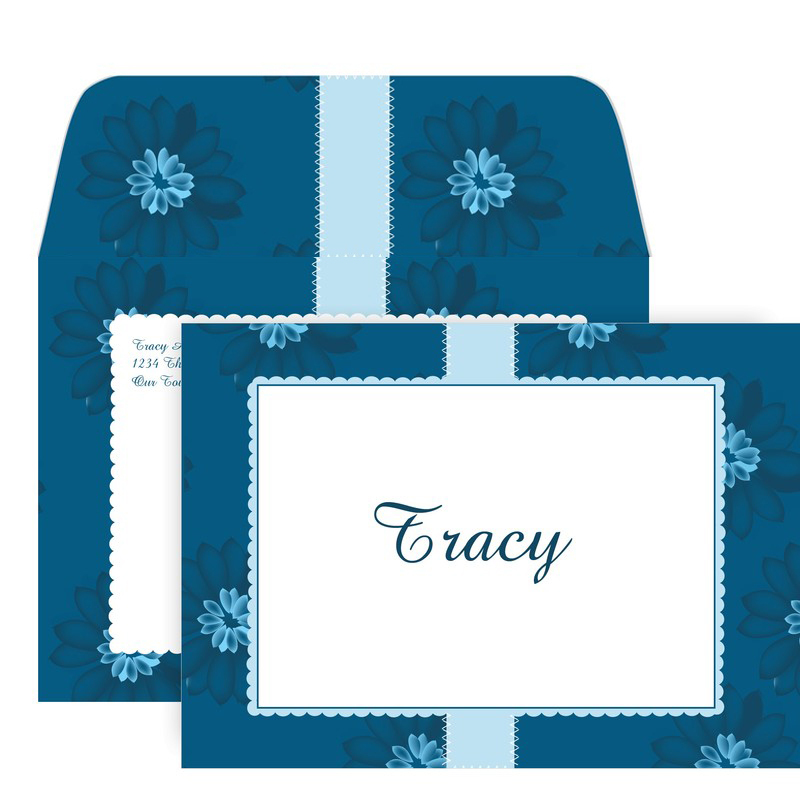 The matching envelope has the blue flower pattern. Price shown is for 25 custom printed Notes. Size of invitation is is 4.875" W x 3.5" H with No. Bar 4 Blank Envelopes included, Printed return address available for an additional fee. Flat printed, made with Soy Ink. View Quantity discount at bottom of page (drop down).